Please read, complete and sign this Agreement where indicated. Accounts will not be established until this Agreement has been completed, signed and returned. Any delay in returning this Agreement promptly may cause order processing to be delayed. 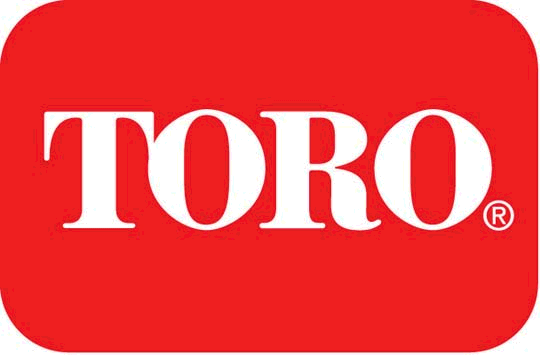 We agree that we are purchasing goods or services from Toro for purposes of resale or otherwise for use in connection with our business. We agree that Toro’s terms of sale as set forth in this Agreement and Toro’s invoice shall supersede all inconsistent terms and conditions contained in any purchase order or other document to which Toro has not agreed in writing prior to the date of the invoice. We agree to pay Toro’s invoices on or before the due date shown on such invoices. We agree that the credit period runs from the date of invoice, regardless of the date of shipment or the date service is provided. We agree that all shipments shall be FOB shipping point, and that any claims for damage or loss of goods in transit shall be our responsibility and not Toro’s. We agree that any dispute concerning price, terms, shortages or product defects shall be communicated to Toro’s credit department, in writing, prior to the due date shown on the invoice. We agree to send all payments to The Toro Company, % 36333 Treasury Center, Chicago, IL 60694-6300. We acknowledge that the posting of payment to our account may be delayed if payment is sent to any other address. If payment is posted after the due date for this reason we agree to pay interest as provided below. We agree that interest shall accrue and be payable at the rate of 18% per annum or, if less, the maximum rate allowed by applicable law, on any invoice amount not received by Toro on or before the due date. We agree that our credit privileges may be suspended or terminated at any time and without notice if we fail to pay Toro’s invoices when due, or make any deductions from our payments to Toro without Toro’s prior approval. We agree to give and do hereby grant Toro a security interest in all of our now-owned or later acquired inventory, equipment and other products purchased from Toro, including all accessories, attachments and parts, wherever such property is located, together with all products and proceeds of such property. We authorize Toro to file one or more financing or continuation statements relating to such collateral, and any amendments thereto, without our signature where permitted by law, in such form and substance as Toro may determine. We agree to pay Toro’s costs of collection, including reasonable attorneys’ fees, incurred in enforcing our obligation to pay for products or services purchased from Toro, the security interest granted hereby and any other obligations under this Agreement. We agree that this Agreement shall be governed by the laws of the State of Minnesota. We certify that all information contained in this application is true and correct, and we authorize our bank, trade creditors and all credit bureaus or other credit agencies to provide any information that Toro requires. We certify that the Firm/Buyer indicated in the agreement is registered with the listed states and cities within which the Seller would deliver purchases and that any such purchases are for wholesale, resale, ingredients or components of a new product or service to be resold, leased or rented in the normal course of business. We further certify that if any property or service so purchased tax free is used or consumed by the firm as to make it subject to a Sales or Use Tax, we will pay the tax due directly to the proper taxing authority when state law so provides or inform the seller for added tax billing. This certificate shall be part of each order which we may hereafter give to you, unless otherwise specified, and shall be valid until cancelled by us in writing or revoked by the city or state. We have read, understand and agree to the above terms.